Employee Pay Deductions: Is It Illegal For Your Employer To Deduct From Salary? Employee Pay Deductions: Is It Illegal For Your Employer To Deduct From Your Salary In California? On behalf of Admin of JML Law, A Professional Law Corporation posted in Retaliation on Wednesday, Nov 14 2018. Long story short, employers can lawfully deduct from their employees’ salaries, but such deductions must be in accordance with federal and state requirements. In order to deduct from an employee’s wages, that employee must be exempt from the Fair Labor Standards Act (FLSA) minimum wage and overtime pay requirements. Deducting an employee’s portion of income taxes. Deducting a predetermined and specified amount in accordance with child support, alimony, wage garnishments, or other court orders. Deducting for an employee’s voluntary contributions to insurance premiums and benefits payments, including but not limited to retirement and pension plan, 401(k), and others. Deducting a certain amount to cover hospital or medical dues, insurance premiums, and other deductions that must be expressly authorized in writing by the employee. Deducting a certain amount that is authorized by a collective bargaining or wage agreement. Keep in mind that your employer can lawfully deduct from your salary if such deductions are required by federal or state law. It is highly advised to speak with an experienced retaliation attorney in Los Angeles or elsewhere in California to determine whether or not your employer deducting from your pay was illegal. In some situations, employers deduct their employees’ pay as a form of retaliation or punishment. For example, an employer may opt to deduct from your wages if you break, damage, or lose company property or equipment or lose company money in the course of employment. In that case, your employer will attempt to deduct the cost or loss from your salary. But are these types of deductions legal in California? In California, employers are prohibited from deducting from their employees’ pay in the event of breakage, damage, shortage, or loss of company property or equipment that occurs by reason of mistake or accident. If an employee is not at fault for the losses of company property or money or the loss occurs as a result of his/her negligence, the employer will have to bear such losses as a cost of doing business. This might not seem fair to employers in California, but these rules exist for a reason: to prevent employers from unfairly retaliating against their employees. For example, let’s imagine that you are a waitress and one of your customers walks out of the restaurant without paying a check. In that situation, your employer has no right to deduct the loss of money from your wages. 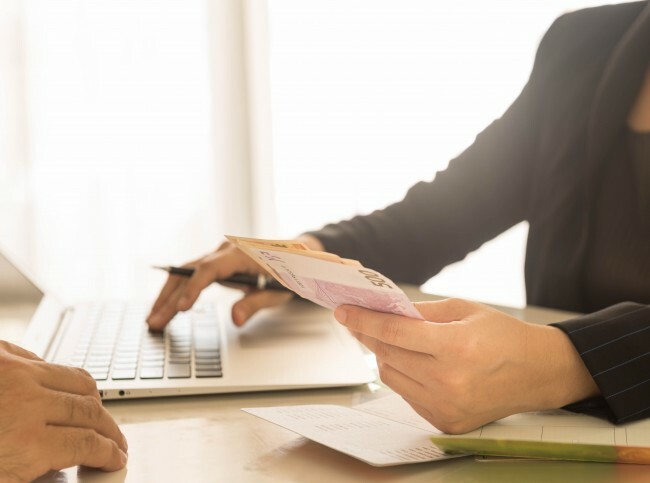 In addition to California laws regulating deductions of employee’s pay, the FLSA has enforced its own restrictions on employee wage deductions. In order for employee pay deductions to be lawful, the employee must be exempt from the FLSA minimum wage and overtime pay requirements. The employee misses one or more full days of work for personal reasons other than injury, illness or disability. The employee misses one or more full days of work due to injury, illness or disability as long as that deduction is in accordance with a policy of providing compensation for loss of income due to such injury, illness or disability. The employer needs to offset amounts the employee receives for jury or witness fees or military pay. The deduction is required for penalties enforced in good faith for violations of safety rules in the workplace. The employee is suspended from work for one or more full days as long as that suspension is in good faith and for violations of written workplace conduct rules or other applicable rules. The employee takes unpaid leave in accordance with the Family and Medical Leave Act. Find out if your employer deducting from your wages violates federal and state laws and/or amounts to workplace retaliation. Contact JML Law to schedule a free consultation with our Los Angeles retaliation attorney. Call at 818-610-8800.